It's my sister's Birthday, I miss her so much and hope everything is great with her. I wonder what's their food right now. Many more birthdays to come Sis, Love you so much and you know that. happy birthday to your sister.nice to see my badge here. 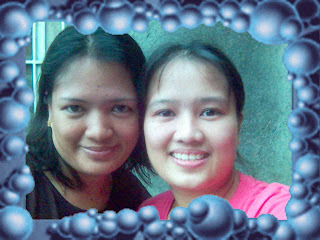 hi nov, pls extend my birthday greetings to your sister..
yeah look alike mo sis mo, anyway its normal coz ur sisters, lol. belated hapi-bday to ur sisterhood. . . and ingatz u there. . .